Damian Lau Chung Yan is Ding Pang, a young man who ventures into the world of martial artists after his father dies in an attempt to make it to the top. 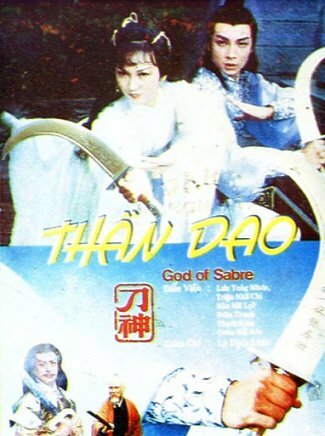 On his way he encountered a beautiful but troubled lady who claimed she was kidnapped by some outlaws in the mountains, so as a righteous and honorable man, Ding Pang took care of her. Shortly after, they became lovers and he entrusted the woman with his family's treasure - a martial arts manual and left for the convention of martial artists (Mo Lum Dai Wui) to compete for the top. At the convention, be battled with the greatest fighter and almost became number one until the opponent (by Kam Kwok Wai) confronted and accused him of stealing the martial arts from him and that he had prove. The martials arts manual of the opponent was then brought out for all to witness that the kung fu Ding Pang had just used were all evident in this manual. Who would've thought that the person bringing out the manual was his lover. Ding Pang was used. Ding Pang was then banned from entering the world of arts again for several years. After leaving the convention he was attacked but was rescued by another beautiful woman (Gigi Chiu). She took him into her home situated underground to treat his wounds.